Shani is in Sagittarius sign. 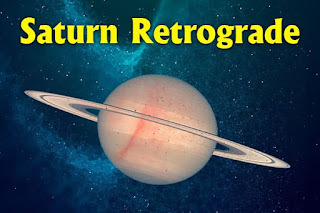 Shani becomes retrograde on 06th April night. The power of Shani increases. Shani will affect many signs. There will be sudden changes. Aries: One gets great success in career and wealth. One might go on many journeys. Take care of accident. Taurus: Every pending work will be finished. One might get success in marital and litigation. Problems will be solved. Gemini: There might be change in career. Expenses might increases. Also, problems might increase in marital life. Cancer: There will be change in career and much stuff. There might be crack in relations. However, there are chances of relocation. You have to work hard. There are also chances of progeny. Leo: One gets solution for every problem. Financial conditions will improve. There might be chances of relocation. Virgo: There will be sudden change in employment and business. Relatives might create problems. Take care in financial matters. Libra: There might be health issues. There will be problem in career. Avoid accidents and conflicts. Scorpio: There will be improvement in employment and domestic life. There might be improvement in health. The changes will be good. Sagittarius: Expenses might increases. Take care in journeys. There might be problems in career and employment for some time. Capricorn: There will be progress in career and wealth. There might be chances of loneliness. Take care of your expenses. Aquarius: Difficulties will reduce. You will get wealth and respect. Interest might increase in religion and god. Pisces: There might be chances of long journeys. Anxiety and stress will reduce. Any pending work will be completed. Good Luck: Start work, which keep on running, on Saturday.